Power, subtlety and fast reflexes will be on display at the London Olympics Table Tennis event where Indian paddlers Soumyajit Ghosh and Ankita Das will be making their debut without any pressure of bagging medals but with an aim of causing a few upsets. Although Indian paddlers have been representing the country in the Olympics ever since the sport was introduced at 1988 Seoul Games, they have not been able to make their presence felt, with the best-ever finish coming at the Beijing Olympics when veteran Achanta Sharath Kamal reached the third round. Teenagers, Soumyajit and Ankita stunned their seniors during the qualification at Hong Kong to bag the Indian quota berths and become the youngest Indian paddlers to make the Olympics cut. But question remains whether the duo from Siliguri would be able to make a mark at the world's biggest sporting extravaganza. Even as both Soumyajit and Ankita know that it would be next to impossible for them to make the podium, they expressed confidence of coming up with a good show, before they head to London on the morning of July 22 from the capital. "We want to make our country proud by causing a few upsets and going as far as possible in the competition. We know what to expect from ourselves, but not limiting ourselves. 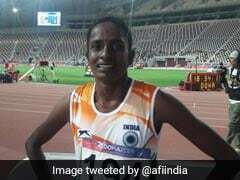 I really want to make my country proud by bettering the record of my female counterparts at the Games and defeating few world-ranked paddlers," Ankita said. "My first ever Games...this is very important for me. I want to put up a performance that no other Indian paddler has done before," she added. Soumyajit is aware that it would not be a stroll in the park when it comes to facing European and Chinese giants in London but said that he was ready to give his 100 per cent. 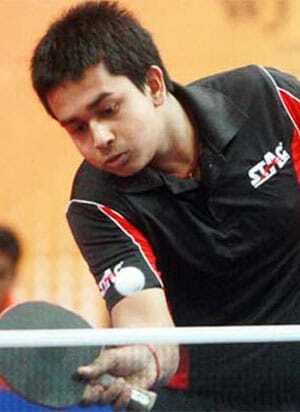 "Qualifying for the Games ahead of top players like Sharath and Anthony Amalraj has given a real thrill. We will play our best and put in cent per cent effort. We can assure you that," said Soumyajit. "I am looking forward to causing a few upsets by defeating higher-ranked players. I want to utilise this opportunity in the best possible way and put up a performance which would be remembered for years to come. I want to make my town Siliguri and India proud," said the 19-year-old. 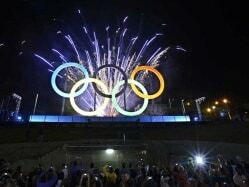 A training stint in China ahead of the Olympics has come as a morale-booster for them and both feel confident heading into the Olympics. "The Chinese trip happened to us at a right time as we came to know about our personal strengths and weaknesses. We practised a lot against the Chinese paddlers which resulted in improving upon our foot movement and fitness level. The Chinese go out on attack from the word go which at times makes things a bit difficult but now we are confident of facing them too," said Ghosh. "The trip was good for junior paddlers like us as we rectified our mistakes and improved upon our fitness level. I worked hard on being mentally strong by practising yoga and meditation there," said Ankita. Realistically the duo hardly stand a chance but they may just come up with some surprise performances though a lot will depend on the kind of the draws they get and the luck factor. If they are able to enter the main draw, it will mean a lot for both these youngsters and the Indian table tennis. Anything else would be a bonus.